WASP-85 is a binary star, with the hot Jupiter WASP-85Ab orbiting the brighter star of the pair. It was in the Campaign 1 field of the revamped Kepler K2 mission, and thus we have the first extensive Kepler-quality lightcurve of a WASP planetary system. The WASP discovery paper by David Brown et al presents an initial look at the long-cadence K2 data. 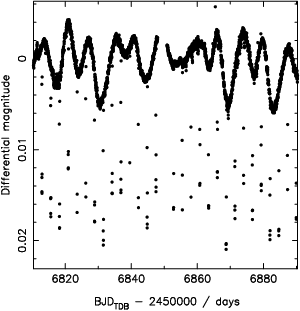 The upper plot shows the entire light curve, with obvious variability of the star (presumably because it is magnetically active) and narrow dips caused by the transits. The lower plot shows the data folded on the transit. The higher-time-resolution “short cadence” data will be available soon, and should allow a high-quality analysis of this system. 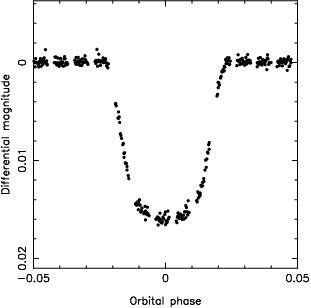 The WASP planets WASP-47b and WASP-75b are being observed in the current K2 Campaign 3, which should lead to more space-quality light curves of WASP systems. In other news, WASP played a minor role in the discovery of the first K2 planet, a super-Earth-sized planet orbiting the bright K-dwarf star HIP 116454. 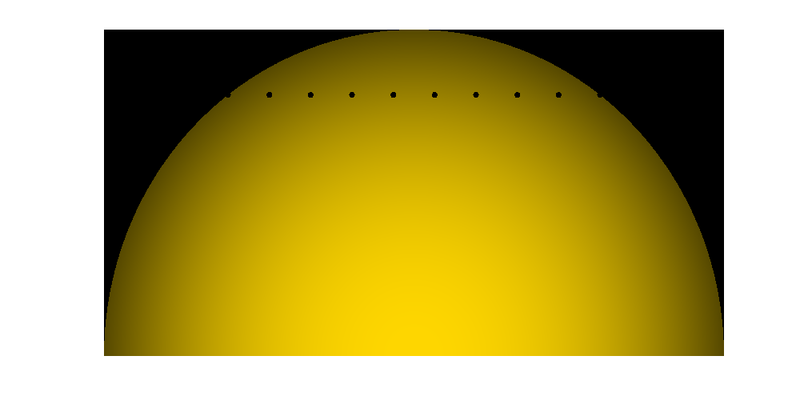 There is extensive WASP data on this star, and while the transits (only 0.1% deep) are too shallow to see in WASP data, the WASP data contribute by showing a possible 16-day rotation period of the host star. 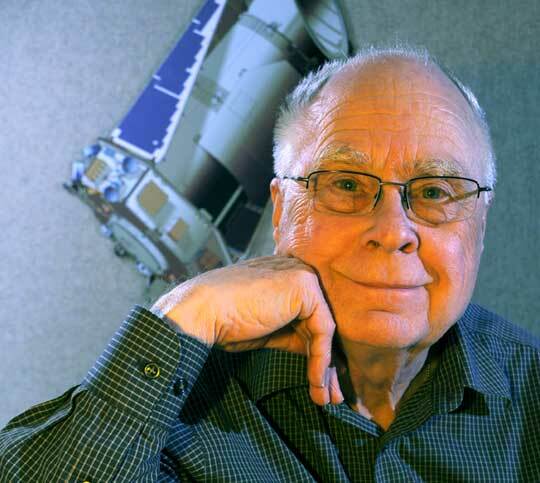 The discovery paper by Andrew Vanderburg et al featured in a NASA press release. This entry was posted in Kepler planets, WASP planets and tagged K2, WASP-85 on January 8, 2015 by waspplanets.